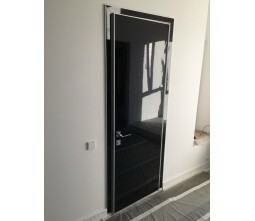 Construction:We are using special aluminum frame for our black bedroom door ,the most beautiful things of door jamb is it can give higher installation efficiency for the gloss door while it is PVDF coating black(or any solid color) ,have excellent withstand of exposure for both interior and outdoor use too. Facings: FORMICA High pressure laminate or Korean PVC film over Medium Density Fibreboard.,this will give better performance than High gloss crylic doors in term of scratches and glossy look . 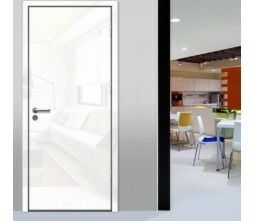 Door leaf size : The gloss internal door set is available for manufacture to any practical size to suit client requirements. 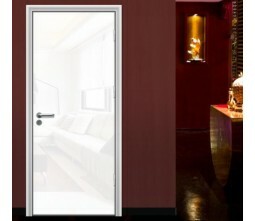 Shipping:Door-door service is avaible to most of the cities in North America and Australia,Europe.